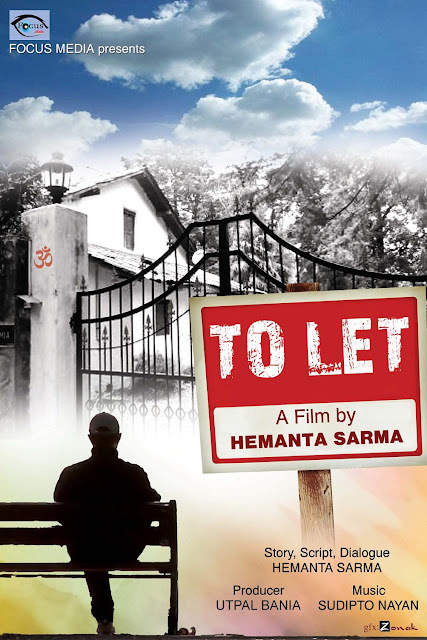 Hemanta Sarma's New Assamese Film "To Let"
A familiar name in the field of cine-journalism, Hemanta Sarma is now making his directorial debut with a new Assamese film. Tackling a serious subject in nature, the story deals with the theme of secularism. The film follows the story of a Muslim journalist, who has to undergo discrimination and prejudice based on his faith. The film’s story, script and dialogue are also written by Hemanta Sarma. The film is produced by Utpal Bania, Managing Director of DOOGDOOGI – an Assamese jewellery company, under the banner of Focus Media. While the cinematography is done by Deepkamal Gogoi, music composed by Sudipta Nayan, the editing is executed by Manash Pratim. The various roles in ‘To Let’ are played by Kulendra Rai Choudhury, Naba Mahanta, Pratima Sarma and Minakshi Devi. As informed by the director, the film will be sent to various film festivals after its censoring.